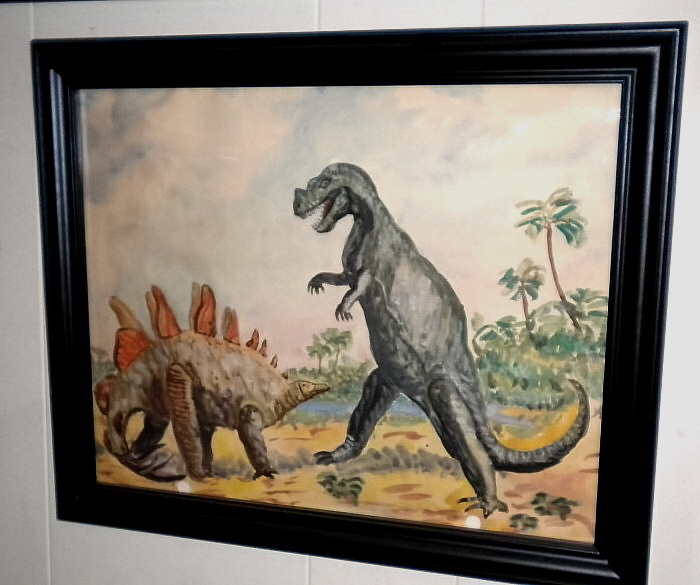 Watercolor painting by my cousin Fritz Sinkovits of Stegosaurus vs. Ceratosaurus done in the late 1950s. It was copied from a Charles R. Knight painting published in the February, 1942 issue of National Geographic Magazine, a copy of which is also in my collection). 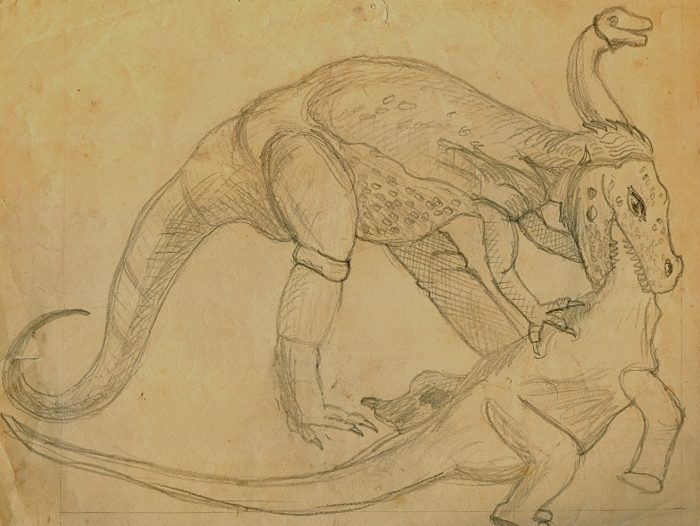 Also, a pencil drawing by Fritz based on a Knight illustration drawn for Knight’s 1946 book Life Through the Ages.